We are committed to working with Aboriginal and Torres Strait Islander people. Establishing data governance arrangements will be important. We need to engage fully with Indigenous Australians in the process of developing, designing, collecting and utilising data. We need to place a greater emphasis on the use of regional data. This will allow communities to take ownership of placed based actions and to hold governments and service providers to account. We also need to look at ways to improve data access while at the same time always ensuring individual privacy is maintained. Improved access to data can help drive research, and help build an evidence base to support and drive policy that improves outcomes for First Australians. We know a one-size-fits-all approach is not the most effective way to improve outcomes for Aboriginal and Torres Strait Islander people. Ya Pulingina. Pangkerner Ian Anderson Palawa Trowunna: Trawlwoolway, Pairrebenne, Plairmairrerenner. Kartoometer mynee larrakia teeanner. Carnee meenee nenener nicer Lanena. I would like to thank the Menzies School of Health Research and Director, Professor Alan Cass, for inviting me to speak tonight and for hosting this event. It is a great honour to deliver the 2017 Menzies Oration. 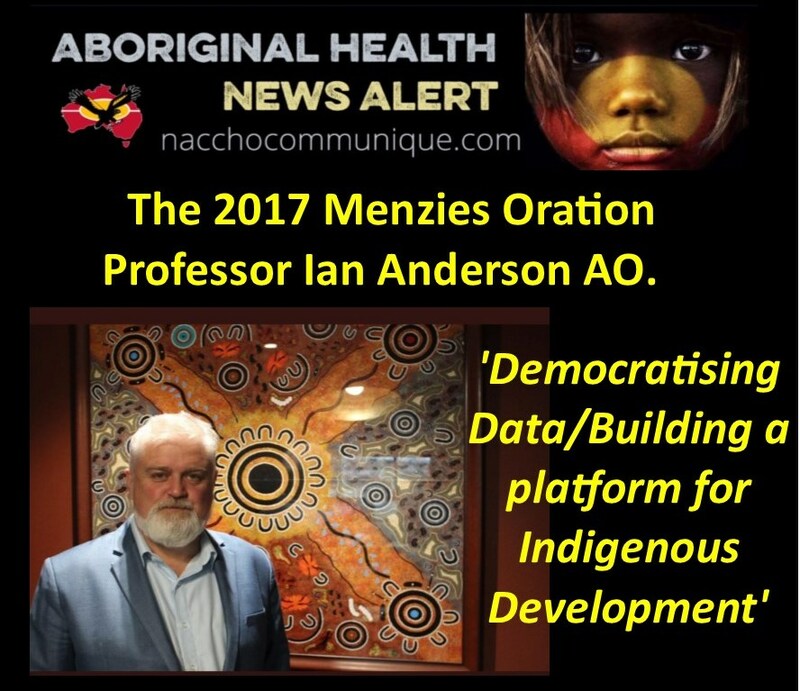 I would like to take this opportunity to congratulate the Menzies School of Health Research for its ongoing commitment to examining and understanding Indigenous health. Research undertaken by the school has made a significant contribution in improving the health and wellbeing of Aboriginal and Torres Strait Islander peoples across Australia. Today, I would like to discuss the importance of data within the policy context. Data can be an extraordinarily powerful tool. Data shapes so much of our society. Governments, businesses, non-profit organisations and individuals all use data to inform their decision-making. We live in a data age. In addition to significant growth in the amount of data being collected, we also have the opportunity to better use our data assets. We have more sophisticated technologies to analyse and integrate data—in fact, we are also able to analyse more data, more quickly at lower cost. Many people here tonight are in some way involved in the production of data. You might collect data as part of service delivery or part of a research project, analyse data to build information and evidence, or use this information and evidence to make policy decisions. Data collected through research, survey and census or from the administration of government programs and activities, has played an important role in guiding policy and practice, particularly in Indigenous affairs. Public data is a national asset. However, its value is only realised when data is transformed into information, and more importantly knowledge. Data can help shape debate, identify areas of need, and be used to analyse the effectiveness of policy and other actions. But, for this to occur, the data must be of high quality and we must collect the right data. Moreover, it must be accessible to all. I would also like to stress that data is not useful in isolation and must be combined with the skills and capabilities to make the most of it. Now, in using the phrase—democratising data—I am signalling a change agenda to create the systems and platforms that ensure end-users are able to access data in a timely way. One that is relevant to a wider audience and allows data to be used. The availability of data on Indigenous Australia has reflected broader politics. It is reasonable to infer that in the late 19th century when representatives of the then six British colonies—New South Wales, Victoria, South Australia, Western Australia, Queensland and Tasmania—came together to draft up Australia’s constitution, Aboriginal and Torres Strait Islander people were not factored in. It is probable that those who considered how the soon-to-be-federated country might operate did not want to include Indigenous people in financing arrangements for the states, or for the development of services or planning purposes. It is also possible the founding fathers of the Australian federation did not think Aboriginal and Torres Strait Islander people were long for this world. That they were a dying race. Under such scenarios, there would have been no need for information about Australia’s Indigenous population to be collated. The ‘race’ clauses included in our original constitution reflect this. It was not until the successful 1967 referendum that paved the way for the Commonwealth to take on responsibility for the administration of Indigenous Affairs at a national level that Aboriginal and Torres Strait Islander people were formally included in our population counts. This marked the start of the first phase of Indigenous data development in Australia. In the years that have followed, data sets concerning Indigenous Australians have slowly been built up. The Australian Bureau of Statistics, for example, has developed a clear picture of the lives and experiences of Indigenous Australians. Over the past three to four decades, significant improvements have been made in the availability and quality of Indigenous data. This includes Indigenous data obtained through our national survey program run by the Australian Bureau of Statistics. Equally important has been the collection of vital statistics—such as, data on births and deaths, hospital data and Medicare data. However, the most significant innovation over the last two decades has been the development of performance measurement systems. These systems draw on data made available through our data collections systems. They have been developed with the specific purpose of enhancing policy decision making processes. Perhaps one of the most sophisticated data sets relating to Australia’s Indigenous population can be found in the Indigenous health sector. 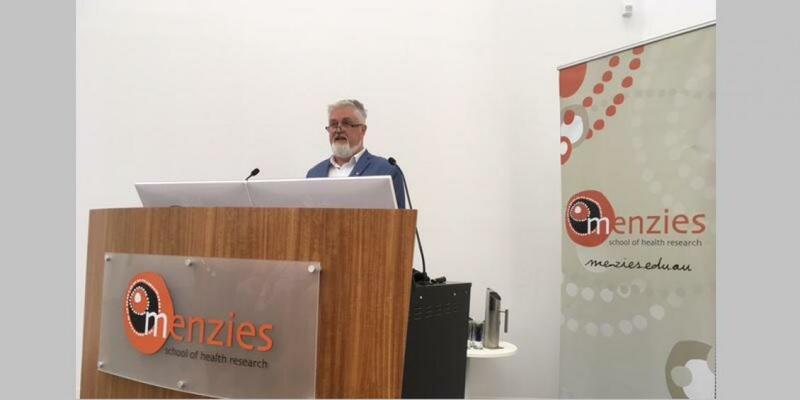 The move earlier this century to start strategically using data through vehicles such as the Aboriginal and Torres Strait Islander Health Performance Framework reports marked the beginning of the second phase of Indigenous data development in this country. The first Aboriginal and Torres Strait Islander Health Performance Framework report was produced in 2006. Commissioned by the Australian Health Ministers’ Advisory Council (AHMAC), the data in these reports, updated every two years, and has been used by Australia’s political leaders to inform their decision-making in Indigenous Affairs. Data is collated across three tiers: health status and outcomes; determinants of health; and health systems measures. Significantly, the measures had strategic value and ‘buy in’ from the states and territories. The data contained in the Aboriginal and Torres Strait Islander Health Performance Framework played a pivotal role in the decision by the Council of Australian Governments to allocate resources in 2008 to address Indigenous disadvantage. However, just as importantly, the data informed where the resources would be allocated. The collation, analysis and strategic use of Indigenous data by our political leaders is one thing—I will discuss this further when I describe our proposed approach to the refresh of Close the Gap—but making data accessible and relevant to a wider audience—and in this case, Aboriginal and Torres Strait Islander people—is another thing altogether. Too often, data is not presented in a way that is accessible for Aboriginal and Torres Strait Islander people. Furthermore, it is interpreted in a way that is not connected to Indigenous reality.